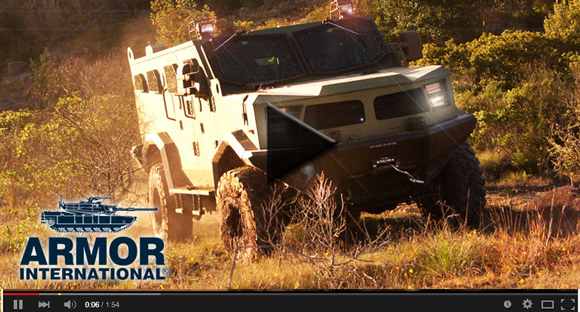 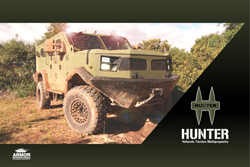 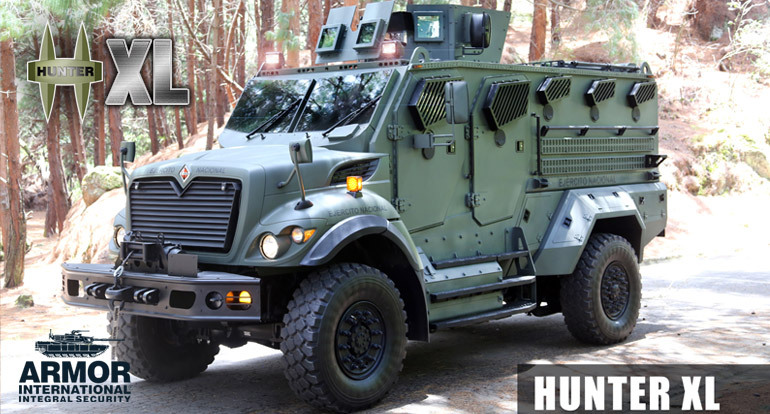 The Hunter TR-12's superior features, including high quality technical configuration, a powerful turbo diesel engine, and cutting-edge wheel technology, make it a reliable vehicle for multi-purpose operation. 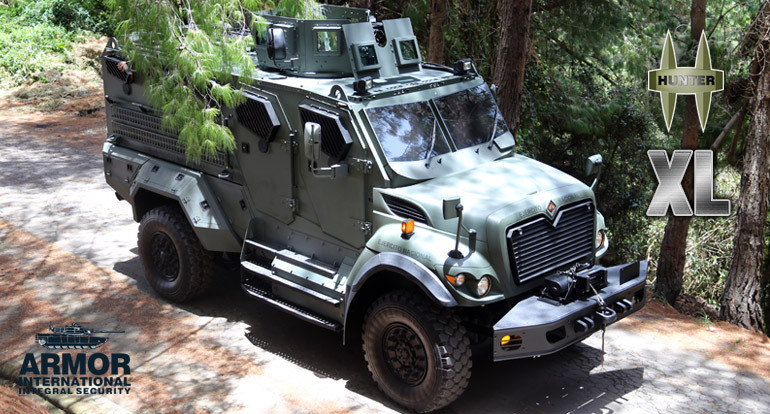 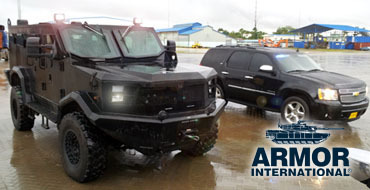 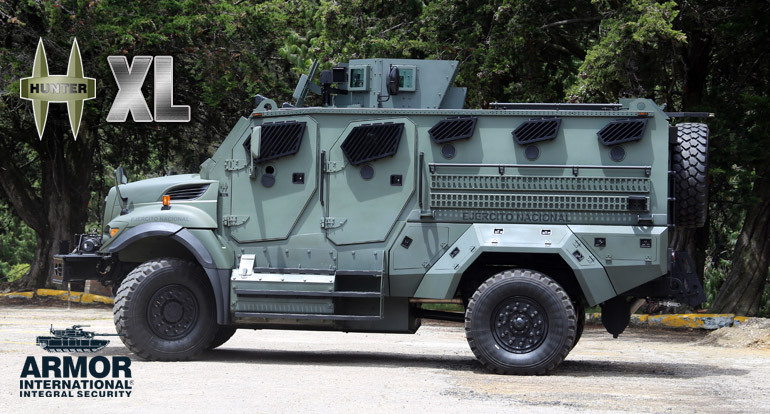 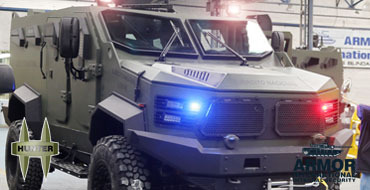 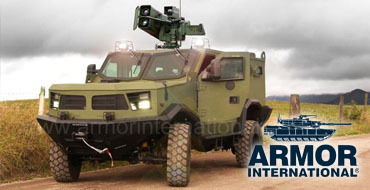 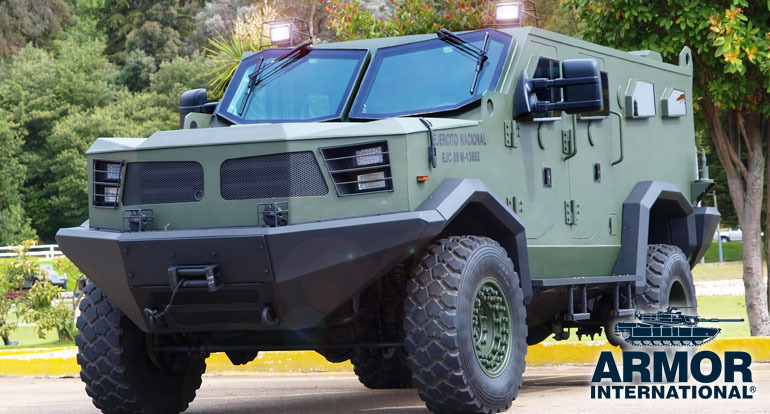 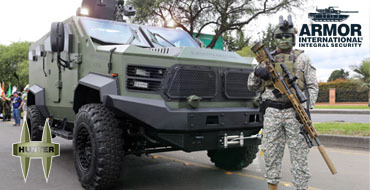 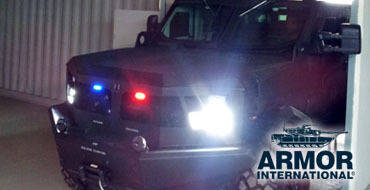 This vehicle can be configured as troop carrier, load transport, ambulance, anti-riot and special operations. 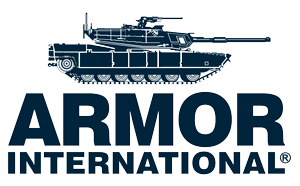 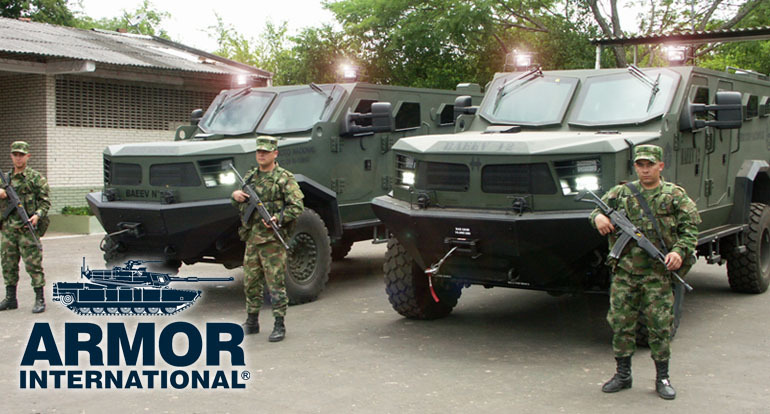 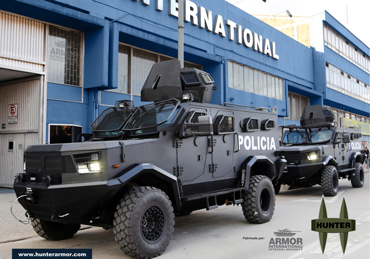 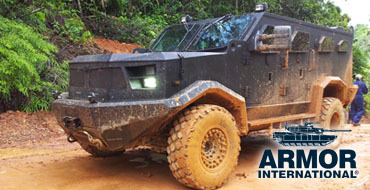 Its advanced machinery, great production capacity, and highly qualified personnel make Armor International a solid, reliable and stable company with renowned prestige as one of the leading armoring companies in the world. 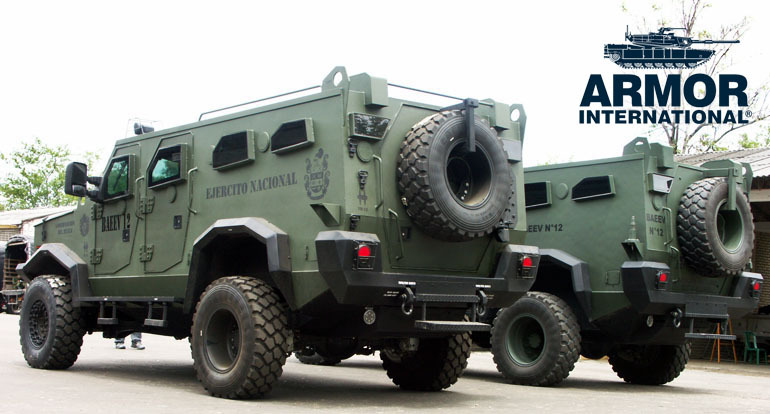 It is widely recognized by embassies, top international agencies, government institutions, and prestigious multinational corporations. 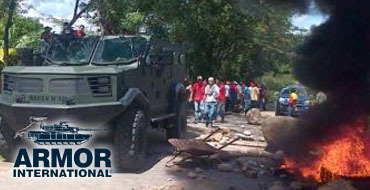 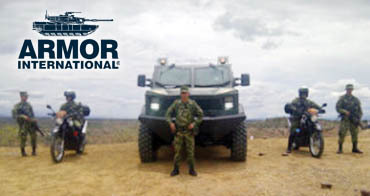 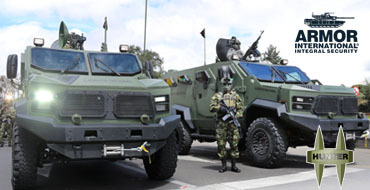 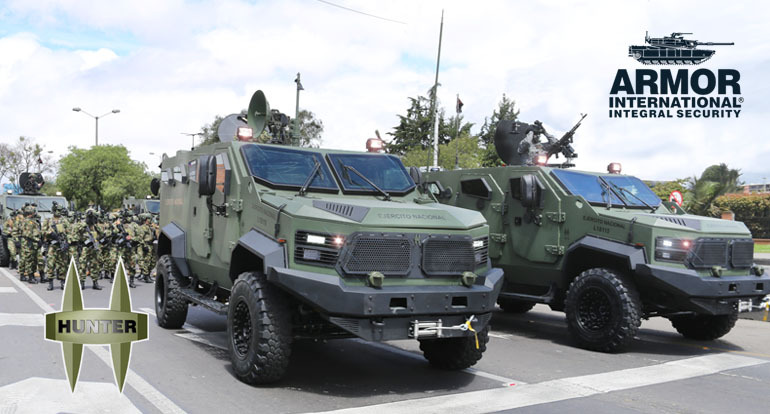 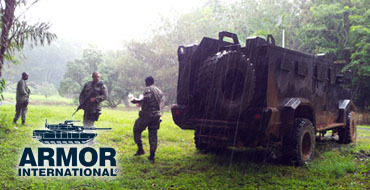 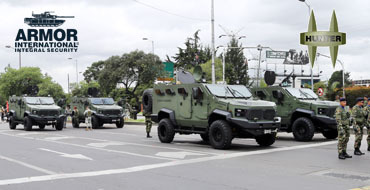 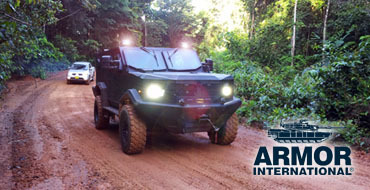 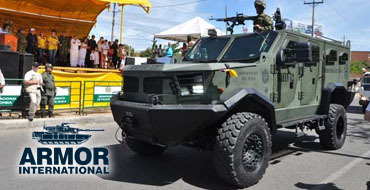 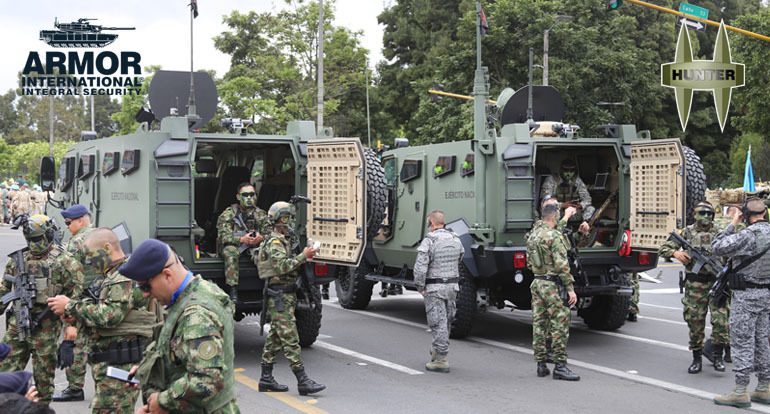 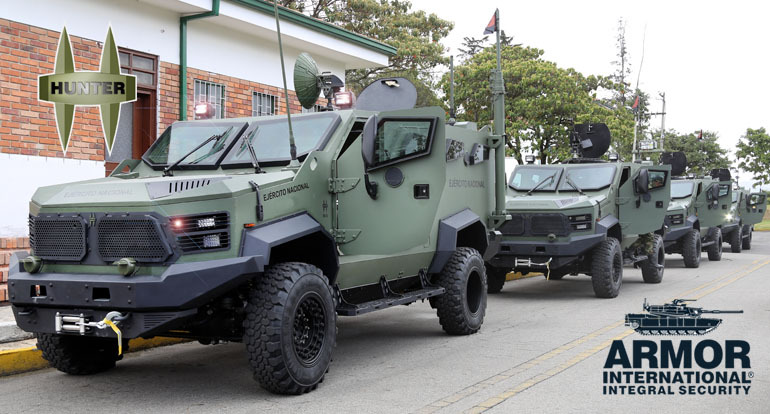 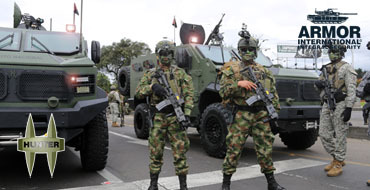 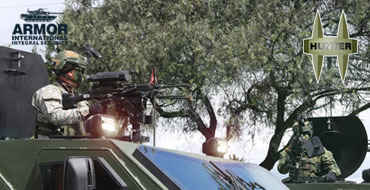 During the Fair Expodefensa 2017 edition, the Colombian National Army presents among its many military vehicles, the Hunter TR-12 Tactical Vehicle as one of the vehicles tested in combat and that for more than 5 years has provided its services of troop transport and support tactical in its different tactical operations in the south of the country. 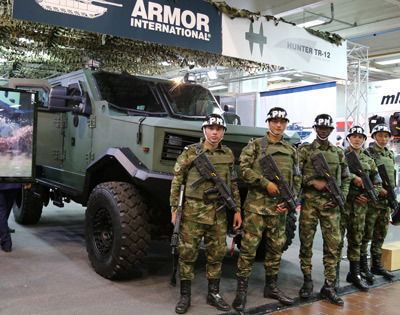 Presentation of Hunter TR-12 at the Expodefensa 2017 exhibition. 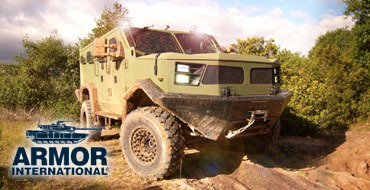 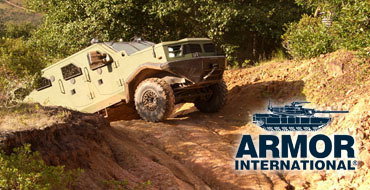 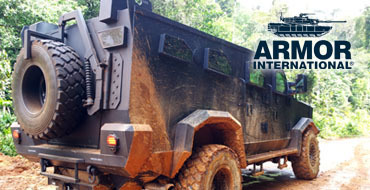 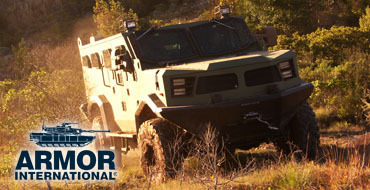 With more than 5 years in operation, it is presented at the fair as a combat-tested all-terrain to continue supporting the troop in places of difficult access.